Are your students off task and distracted? Are they continuously bothering their friends? Are you longing to increase student focus and find ways to tweak your classroom management? As educators we know that kids need movement breaks during the school day. We understand that children learn better when they are fresh and restored. Most of us even plan movement breaks — which is great! 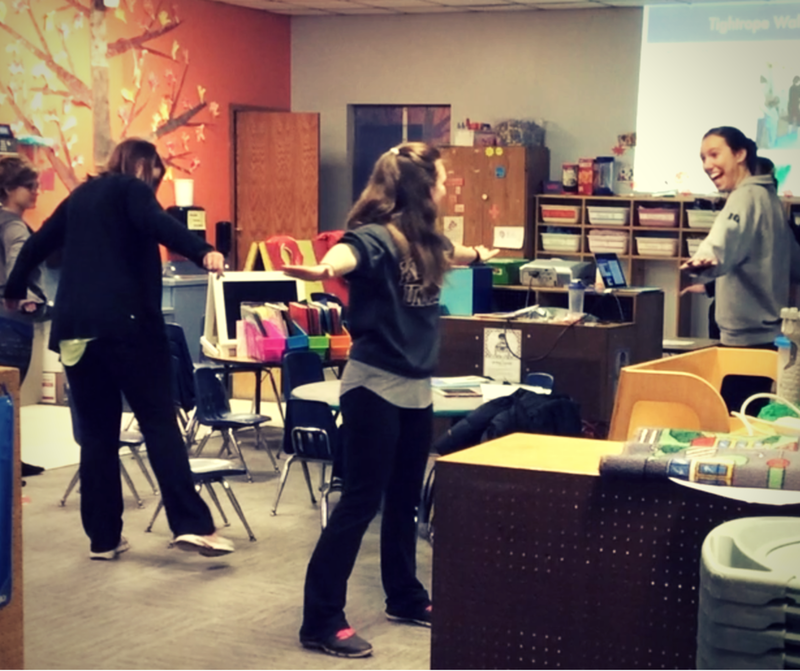 This PD, however, goes beyond using movement as simply needed breaks during the day. 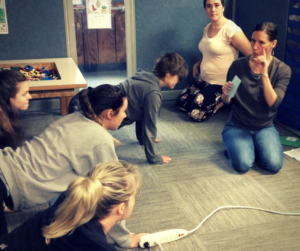 We explore ideas and tools to use movement within instructional practices to enhance learning in addition to simply giving bodies the breaks they need. You will learn about basic brain and body systems that are stimulated with purposeful movement to allow for deeper levels of learning. 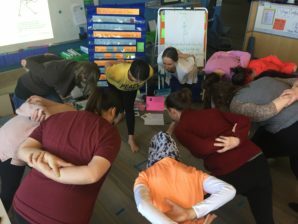 If you’ve ever considered incorporating yoga into your school day or if you’re intrigued by the possibility of combining yoga with literacy, we’d love to have you join the growing number of teachers and schools who are deliberately seeking out and finding methods to move our classrooms a tad bit closer to optimal learning environments for kids. Sing Song Yoga® is an award-winning international kids’ musical yoga program in which song lyrics instruct children how to get into the poses. Our offerings include an iOS app, a DVD, a School Program (Book/DVD), a full Sing Song Yoga® Teacher Training and various professional development trainings. Deb Weiss-Gelmi found her roots in teaching children through songs and movement for classroom management and for literacy instruction, as a school teacher. It became obvious to Deb that music and movement makes learning easier, more effective and more fun. The research supporting her teaching experiences makes her trainings applicable for a wide range of teachers. Her major in child development and her work with Sing Song Yoga® in a variety of settings has further deepened her understanding of developmentally appropriate practices for children and fuels her passion for transforming primarily-sitting classrooms into moving-with-purpose classrooms. This type of learning environment provides children with experiences that regularly stimulate the brain and body systems through movement and music naturally enhancing learning, rather than only using movement as a break. Deb is thrilled to pass on her rich knowledge and passion for yoga, literacy and developmentally appropriate practices. * The Sing Song Yoga® iOS App is only available for Apple Products (iPhone, iPod, iPad). Most of the training will also be applicable for those teachers using the DVD to teach SSY, but a portion of the training will be demonstrating the app. Furthermore, it is assumed that the facility, in which the participants of the SSY PD intend to use our program with children, will have a means for projecting the content of the App or DVD onto either a large TV or a screen for children to experience the program learned through this SSY PD. Connect with us to set up a full-day professional development with your school or district by clicking here. $997 base fee (For up to 25 participants. Contact Deb for larger groups).